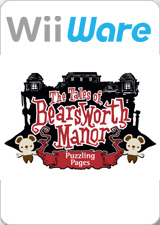 A crumbling mansion is home to a most peculiar picture book, The Tales of Bearsworth Manor: Puzzling Pages. Gather your courage and open the door to this odd, unsettling, and slightly scary tale. Solve innovative puzzles by using the Wii Remote to throw animated paper bears into the picture book's unusual pages. Grab all the red candies found inside with careful placement of your bears and clever manipulation of the unique environments. Delve into the unfolding drama of Pina, the mysterious young girl residing in the mansion. Thirty exciting and challenging stages await you! The graph below charts the compatibility with The Tales of Bearsworth Manor: Puzzling Pages since Dolphin's 2.0 release, listing revisions only where a compatibility change occurred. This page was last edited on 26 January 2018, at 05:50.